Neil Young. Electric guitar. And a whole lotta lessons. 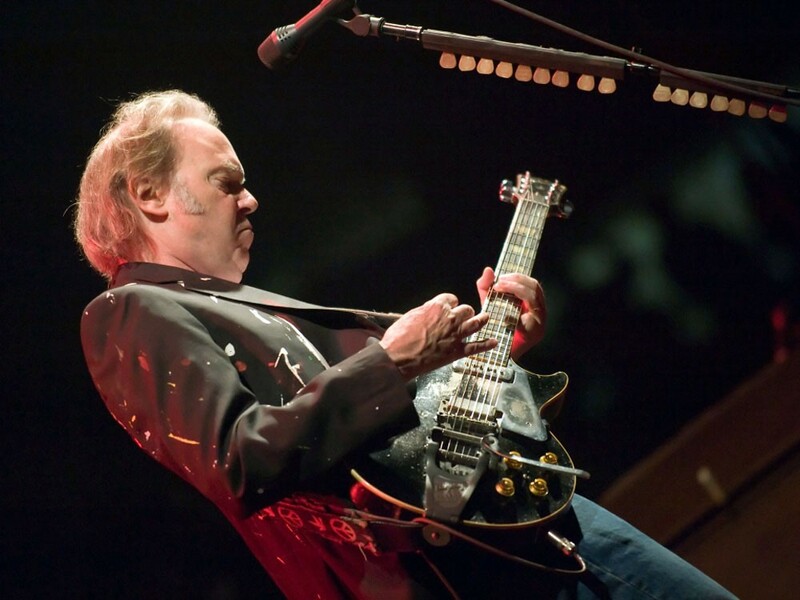 In his sixth decade of making records, Neil Young offers an album full of his usual themes and fuzzy guitars, but one that has a spacey sonic openness — a trademark of his producing collaborator, Daniel Lanois. Young was an old man in his early 20s, and his lyrics reflected it. Things haven’t changed. He’s still an old man, even in his 60s. “Hitchhiker” is a classic Neil Young warning/ lecture song: a five-minute autobiography that chronicles his life through his drugs du jour. Le Noise is at its best, however, when Young sticks to introspective, hopeful themes combined with righteous electric fuzz, as on the opener “Walk With Me” and “Sign of Love.” He really nails it with “Someone’s Gonna Rescue You,” a liquid wave of riffs that Young’s warbling voice dives into and out of, again and again.